Pokemon Sun and Pokemon Moon are two paired versions of Generation VII. 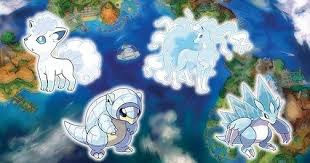 The game is set in yet another new region of the Pokemon world, called the Aloha region. 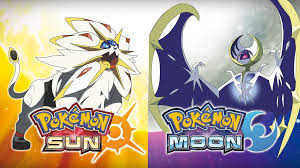 Both the games offer a similar experience, the difference being the Pokemon sun- Solgaleo and the Pokemon moon- Lunala. In this new instalment of the Pokemon series, we get to see a lot of new things. One of the highlights is the new pokédex which not just looks like a Rotom but is actually inhabited by it. Another very important and unique feature which was added is the 'region species'. Some of the ordinary pokémon which migrated to the Alola region have taken up different forms. 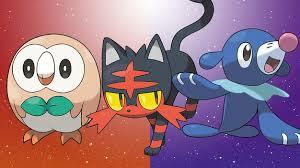 The three starter pokémon of the Alola region are Rowlet(grass-type) , Litten(fire-type) and Poplio(water-type)! Pokemon X & Y introduced a very exciting and new concept - the mega stones, allowing trainers to mega evolve their capable pokémon. Pokemon Sun & Moon also doesn't fail you to give such surprises! There is a special technique native to Alola region which enables the trainer to create a new and powerful move by coming together with his Pokemon called the Z-move! The Z ring is the item that activates it, with Z-crystal being needed to be held by the pokémon in order to perform the Z- move. However, this move can only be performed once during a battle! 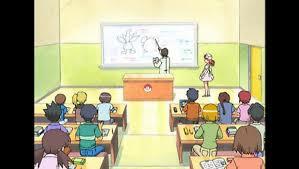 Another interesting thing that we get to see is the Pokémon School which is the main highlight. 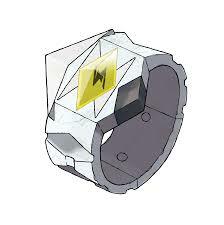 Trainers will be admitted into the Pokemon school where they can learn how to treat and live with the pokémon. That's all for Pokemon Sun & Moon. Hope you guys enjoyed reading this article. Stay tuned for more game reviews! Labels: Entertainment Episodes Pokemon T.V.